The Joint Test Action Group (JTAG)-SMT3-NC is a compact, complete, and fully self-contained surface-mount programming module for Xilinx field-programmable gate arrays (FPGAs). The module can be accessed directly from all Xilinx Tools, including iMPACT, ChipScope™, Vivado, and EDK. 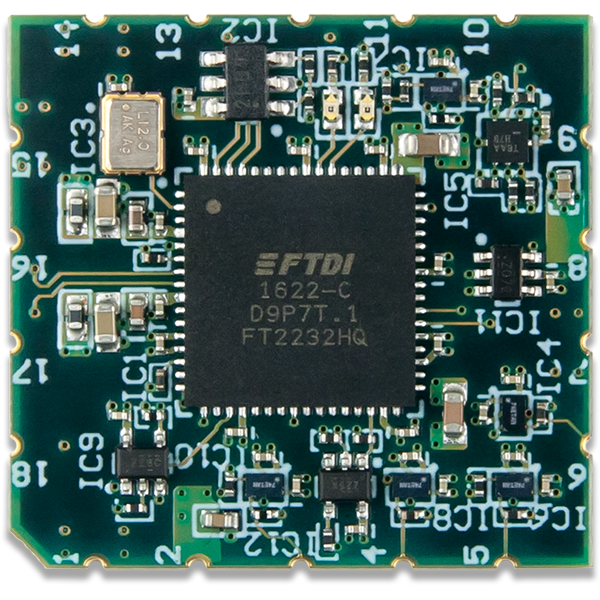 Users can load the module directly onto a target board and reflow it like any other component. 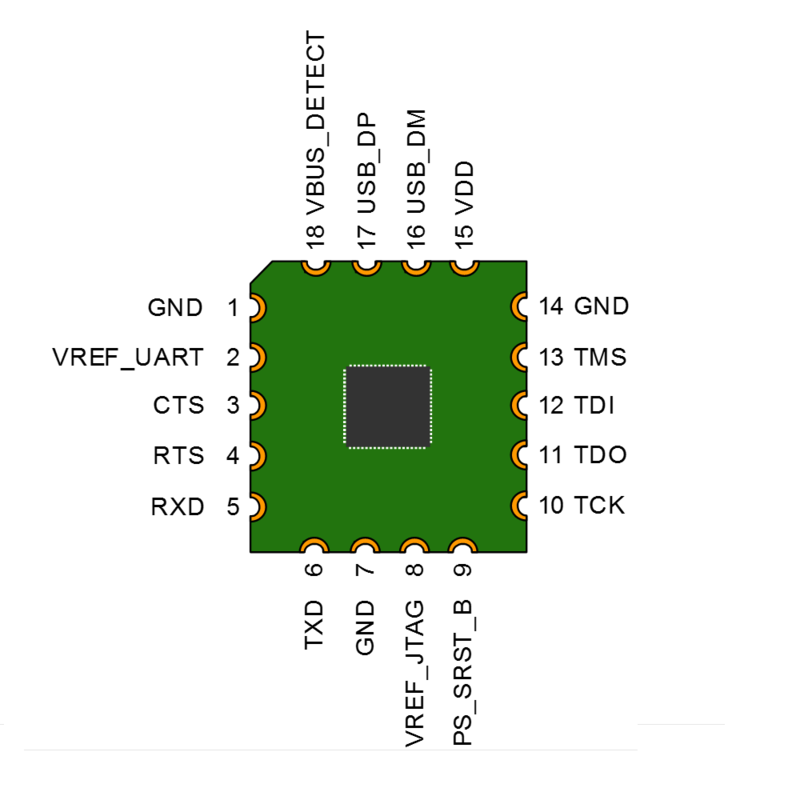 The JTAG-SMT3-NC uses a 3.3V main power supply and independent Vref supplies to drive the JTAG and UART signals. All JTAG signals use high speed 24mA three-state buffers that allow signal voltages from 1.8V to 5.5V, and bus speeds up to 30MBit/sec. All UART signals use high speed 24mA buffers that allow signal voltages from 1.8V to 5.5V and bus speeds up to 12Mbaud. 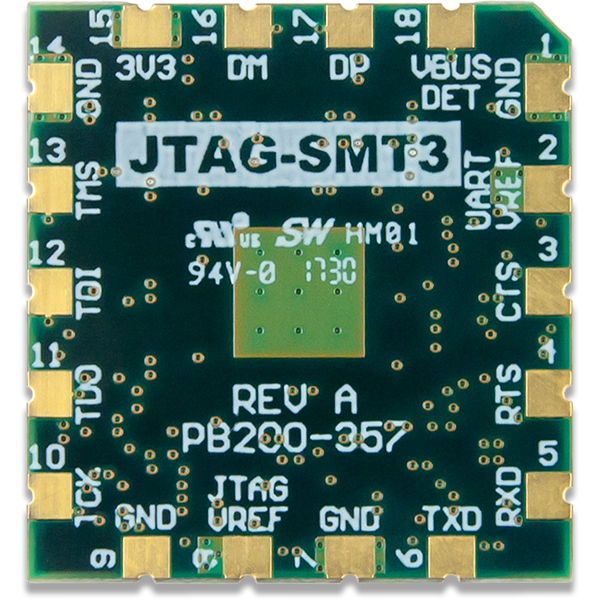 The JTAG bus can be shared with other devices as the SMT3-NC signals are held at high impedance, except when actively driven during programming. 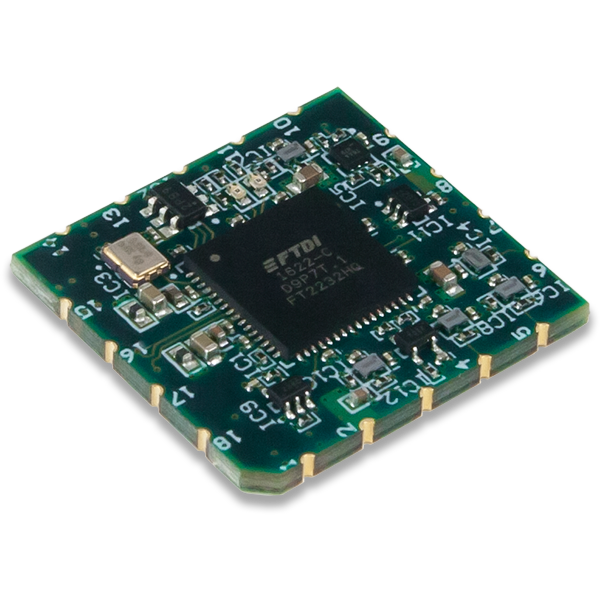 The SMT3-NC module is CE certified and fully compliant with EU RoHS and REACH directives. The module routes the USB D+ (DP) and D- (DM) signals out to pads, providing the system designer with the ability to choose the type of USB connector and its location on the system board.